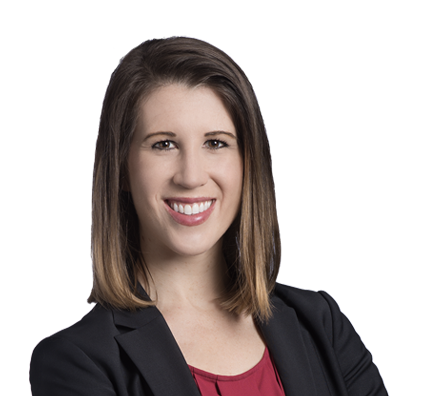 Kelli focuses her practice on business immigration law, representing a wide range of employers in obtaining and maintaining employment authorization for foreign national employees on a temporary and permanent basis. She represents employers across various industries, including technology, engineering, manufacturing, healthcare and education. She regularly works with employers to develop long-term immigration planning for foreign national employees, including counseling clients through the H-1B and labor certification application processes, and assisting employers in developing policies for employer-sponsored work authorization. Kelli advises employers on workplace compliance matters, including proper completion and maintenance of Form I-9 and E-Verify participation. She has experience assisting with internal I-9 audits and responding to governmental audits. She represents clients before U.S. Citizenship and Immigration Services, the U.S. Department of Labor, U.S. Customs and Border Protection, Immigration Customs and Enforcement, and other federal agencies. Completed H-1B petitions for foreign national employees for a wide variety of companies, colleges and universities, health care organizations and other non-profit organizations, and advised clients on issues related to maintaining H-1B status, including travel and visa issuance. Successfully prepared multiple L-1 intracompany transferee petitions for multinational manufacturing company that was shifting manufacturing operations to the United States. Counsel for large, multi-state health care organization in obtaining and maintaining TN status for Registered Nurses and H-1Bs for physicians. Kelli also assists foreign national investors and entrepreneurs in their long-term immigration planning. She counsels founders of technology start-ups on maintaining work authorized status and obtaining permanent residence. She advises investors on investor immigration options, including the E-2 treaty investor visa and EB-5 immigrant investor program. A significant portion of Kelli’s practice also focuses on the special rules for health care organizations and colleges and universities. Kelli regularly advises health care organizations on work authorization for foreign national physicians, nurses and other health care workers. For colleges and universities, Kelli counsels on issues related F-1 students and the Student Exchange and Visitor Program (SEVP) and on a variety of matters related to foreign national employees, including H-1B status and permanent residence for professors and researchers. Counsel for large, multi-state health care organization in obtaining and maintaining TN status for Registered Nurses and H-1Bs for physicians and advised in the application process for the Conrad 30 J-1 waiver program for physicians. Assisted client in planning and drafting E-Verify and I-9 policies for human resource personnel and managers at multi-state company with a large number of hiring sites and assisted in evaluating electronic I-9 systems for purchase. Successfully completed labor certification applications for engineers working at various subsidiaries of large manufacturing company. Successfully prepared multinational manager permanent residence case for executive of large manufacturing company following approved L-1 intracompany transferee status. Advised private university on developing policies for admission and tuition for foreign national students who have been granted Deferred Action for Childhood Arrivals (DACA). Advised landscaping company in responding to Department of Labor audit of H-2B workers. Lead counsel for pro bono immigration cases, including asylum and special immigrant juvenile status.